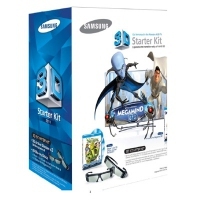 Lose yourself in the immersive wonder of the Samsung 3D experience with this exclusive 3D Starter Kit. You get two pairs of battery-powered Samsung 3D Active Glasses, designed to work with your Samsung 3D HDTV. 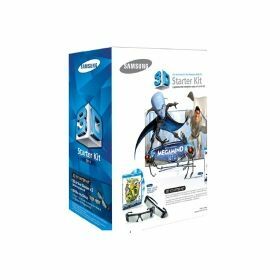 The kit also includes the first three Shrek movies, all remastered in 3D for a new dimension of excitement when played on your Samsung Blu-ray 3D™ Disc Player. Then keep the fun going with the included voucher for Shrek Forever After® and Dreamworks® Megamind Blu-ray 3D™ disc. There’s never been a better time to explore cinema-quality 3D – as only Samsung could deliver.